Dan Rohrmeier loved the game of baseball, especially the competition, he told The Chicago Tribune in 1996. What he didn't like, though, was the business side of the game. He could do without that, he told The Tribune. "To anyone considering a career in professional baseball, I would advise them to get as much money as they can early on, because they'll take as much out of you as they can," Rohrmeier told The Tribune that July. "But I don't want to sound like I'm complaining. I still got paid to play a kid's game, and that's not all bad." Rohrmeier spoke to The Tribune as a member of the AA Memphis Chicks in the Padres system. That season marked his 10th in professional baseball. Rohrmeier spent each of those 10 seasons getting paid to play in the minors. For seven brief appearances the next year, though, Rohrmeier got paid to play the game in the majors with Seattle. Those games marked his only time in the bigs. Rohrmeier's career began in 1987, taken by the White Sox in the fifth round of the draft out of Miami-Dade College in Florida. Rohrmeier started with the White Sox at single-A Peninsula. He hit .329 there over 68 games. He moved to single-A Tampa in 1988, doubling in the game-winner in an August contest. 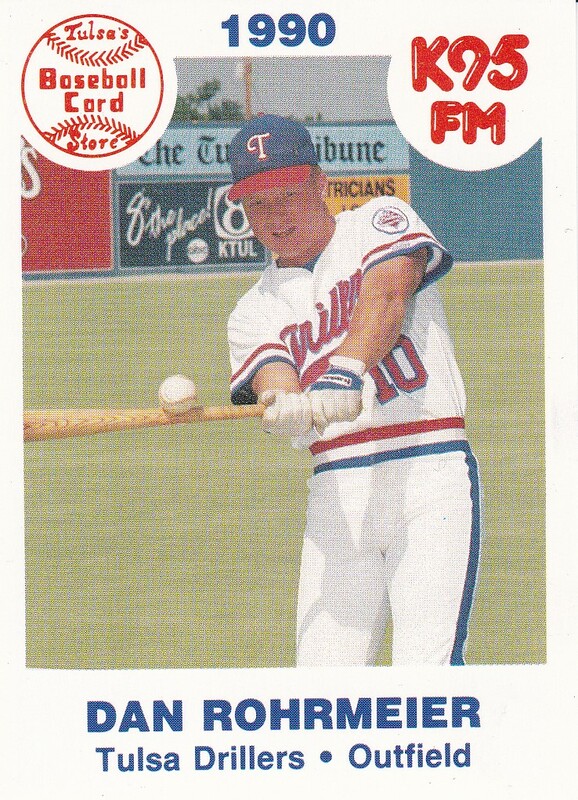 The White Sox sent Rohrmeier to the Rangers in mid-1989 and Rohrmeier made AA Tulsa most of the year and all of the next. In 1990, he hit .305 as a frequent designated hitter. He told The Tulsa World that July that he knew his focus and it wasn't being a designated hitter. "I don't worry about my hitting," Rohrmeier told The World. "I want to find a position to play. I don't think anybody has gone from the minors to the big leagues as a designated hitter." 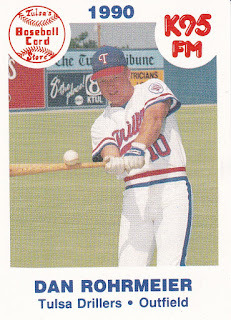 Rohrmeier returned to Tulsa for a third season, one where he hit .292. With few signs of him moving up, according to The World, Rohrmeier asked for and won his release, according to The World. Rohrmeier signed on with the Royals for 1992, seeing his first brief look at AAA. He then played all of 1993 at AAA Omaha, but didn't see Kansas City. He went through the Reds system for 1994 and 1995, then the Padres system in 1996. For 1997, he signed with the Mariners. He played that season largely at AAA Tacoma. That September, he got his call to the majors. Rohrmeier played in seven games for Seattle that month. He picked up three hits in nine at bats. He knocked in two runs, one against Anaheim on a single. Rohrmeier returned to AAA Tacoma for 1998, marking his final year in affiliated ball. He then move to Korea, playing there for three seasons. His final pro season came in 2002 in independent ball with Fargo-Moorhead and Brockton. "If this is where he is now, he's going to give it the most effort," Fargo-Moorehead manager Doug Simunic told The Hudson Star-Observer of Rohrmeier. "He really takes care of himself and really loves to play baseball. He can't get enough."